Circuit Check’s wireless fixture technologies reduce debug time, simplify ECO’s and reduce maintenance, while allowing for the highest test performance, ability to probe denser smaller targets and achieve ultra high node counts. 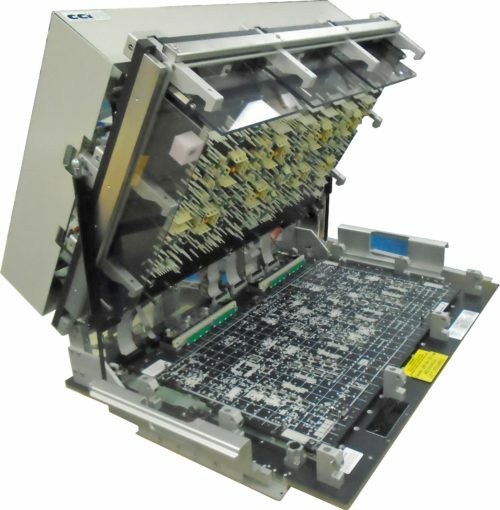 Higher density more complex circuit boards complicate testing requirements. Smaller more tightly spaced test pads create a wiring challenge for the fixture fabricators, test engineers and maintenance personnel. Wireless fixtures solve the challenges associated with the nest of wires found in long wire fixtures. Wireless fixtures replace the “nest” of wires with copper traces on a multilayered printed circuit board called a Translator Board T-Board®. Circuit Check’s intelligent automated routing of sensitive signals is controlled during the layout process so pins are placed for optimal signal fidelity. This is accomplished by isolating the signal trace between ground planes, using separate power planes, or adding “pull-up” resistors or “decoupling” capacitors on the signal traces. The reduced noise from grounding and crosstalk allows faster signal rebound which is important in low voltage applications. Compared to standard wired fixtures, virtually every aspect of the fixturing experience is improved when selecting wireless fixturing for your next design. Cleaner signals permit the test to run at a faster rate. Programming of flash memory runs faster, up to full test system speed. 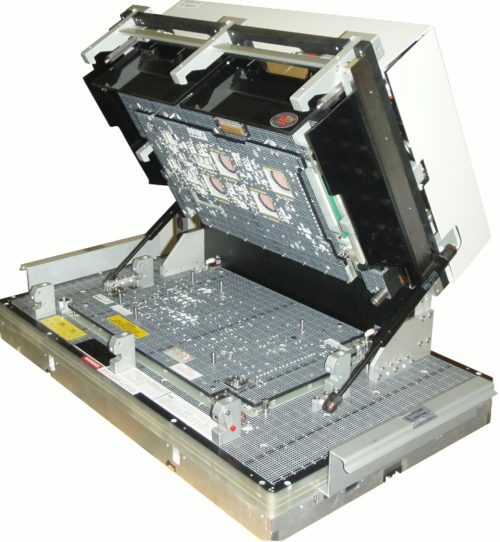 Internal fixture electronics are neater, more compact and are easily designed in during T-Board layout. For proto-type boards, the enhanced performance allows fixture anomalies to be quickly eliminated and debugging to be focused on the UUT. Quicker turn of complex digital tests can be achieved since ground bounce is virtually eliminated. Fixture size is kept to a minimum with a lower profile and is up to 35% lighter in weight than conventional wired fixtures. Since there are no blocked resources, larger UUTs can be placed on smaller fixtures. Duplicate wireless fixtures provide identical test performance due to greater stability, resulting in a significant cost savings. Cleaner signals permit the test to run at a faster rate. Programming of flash memory runs exponentially faster, up to full test system speed. For proto-type boards, the enhanced performance of wireless allows fixture anomalies to be quickly ruled out and debugging to be focused on the UUT. Quicker turn of complex digital tests can be achieved since ground bounce has been virtually eliminated. Since there are no blocked resources larger UUTs can be placed on smaller fixtures. Duplicate wireless fixtures provide identical test performance due to greater stability resulting in a significant cost savings! Circuit Check will design and build a wireless fixture for any type of in-circuit test system. 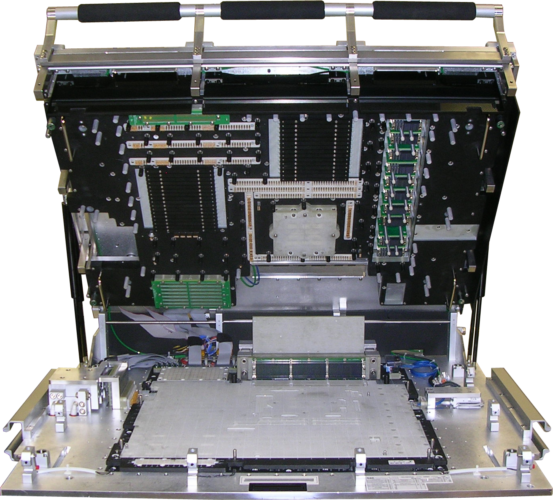 We can build a fixture for your test system.